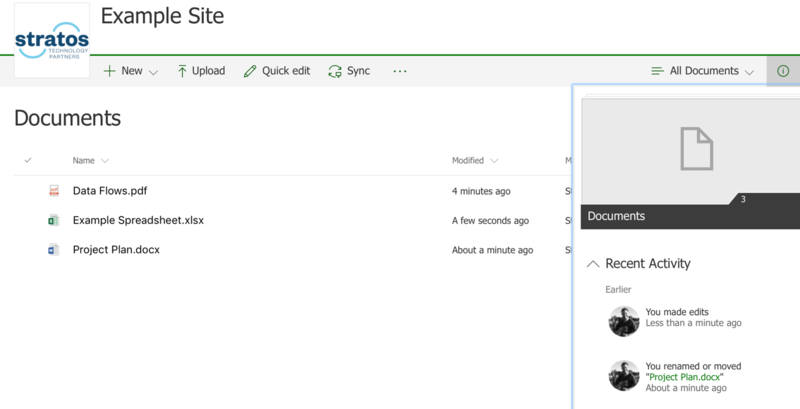 Microsoft have recently rolled out the new look document libraries and lists to SharePoint Online. Document libraries provide a secure place to store files where you and your co-workers can collaborate from (almost) any device at any time. The ‘Modern Experience’ includes many improvements to both list and library functionality. Now they’re faster, more intuitive and responsive to use. 1. Users can create a document with their favourite Microsoft Office application with just two mouse clicks. 2. The ‘Info’ button shows you recent activity in a document library. This is a great way to see at a glance who has been making changes recently. 3. Adding a new meta data column is simple. If the logged in user has permission, they can simply click the ‘+’ at the end of the metadata row and add a new column. 4. Quick Edit is faster to access, just click ‘Quick edit’ from the menu above the library to edit metadata columns in bulk. 5. 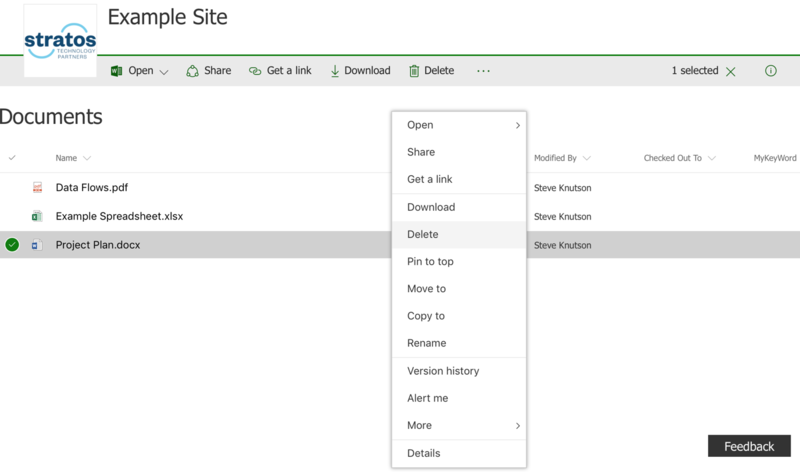 The Context menu is much faster, no more click the ‘…’ and then click the next ‘…’ to access common functions like rename, move, version history, alert me and more. 6. The ‘Pin Document’ feature allows frequently accessed or important documents to be pinned to the top of the document library. In this example, ‘Project Plan’ is pinned. 7. 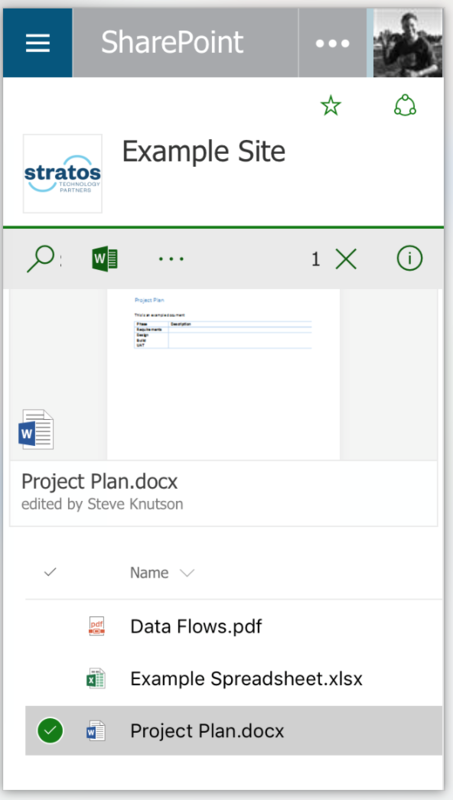 The ‘modern document library’ look improves the user experience for users accessing SharePoint mobile devices. Microsoft have done a good job supporting Android and iOS devices in the browser. 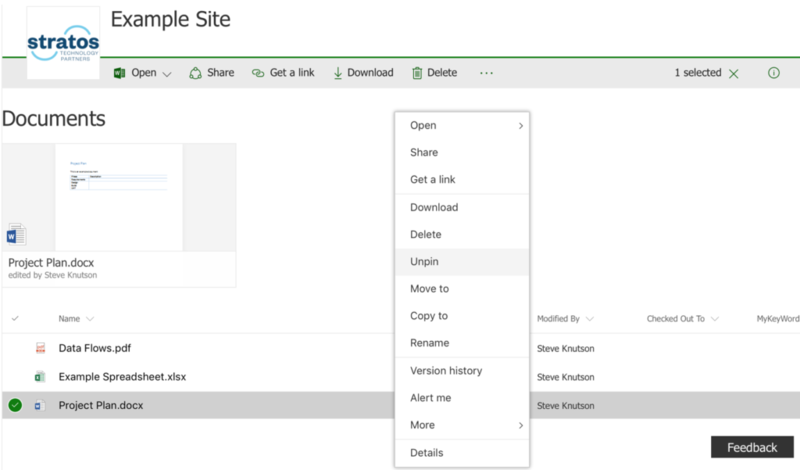 In this latest release, SharePoint libraries have been redesigned to fit the modern user experience of OneDrive and the many other consumer-based file sharing applications available on the market. People are familiar with and enjoy working with these tools, and the new design is a conscious effort by Microsoft to deliver an experience that matches end user expectations.